This entry was posted in digital, senior lifestyle, tech and tagged Benadryl, smartphones, toy by loiswhitman. Bookmark the permalink. My 11 yr old grandson just received the iPhone 5S. He’s a whiz on it! In fact he’s my go to tech expert! I will send you my tech questions too. Lois, excellent blog today. Loved it! Really promoted your excellent writing skills! Thought it was very informative with the comparison of then and now. As an educator for more than forty years, I couldn’t disagree more. 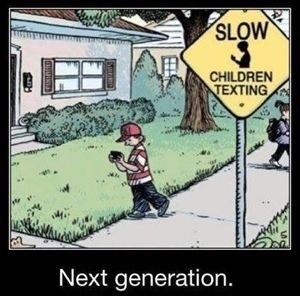 Electronic devices promote a decline in attention span, interpersonal relations, and physical development in everyone.